On the evening of January 19, 2011, five-time Oscar nominated cinematographer Owen Roizman hosted a party for his fellow American Society of Cinematographers colleagues. The venue was the grand lobby gallery of the Academy of Motion Picture Arts and Sciences Wilshire Blvd. offices. Many of the hundred plus “lensers” attending had been there for several days — at least their photo likenesses had been, lining the lobby’s walls and pillars. Dozens more showed up that evening, in the flesh, to mix in the festivities, to celebrate Roizman, and to possibly glance surreptitiously at their ink-jet likenesses on display. Others, such as Conrad Hall, William Fraker, Laszlo Kovacs and Jim Glennon, were there in spirit — and in Roizman’s loving portraits. The occasion was the opening of his one-person photography show: Masters of the Close-up, Up Close. 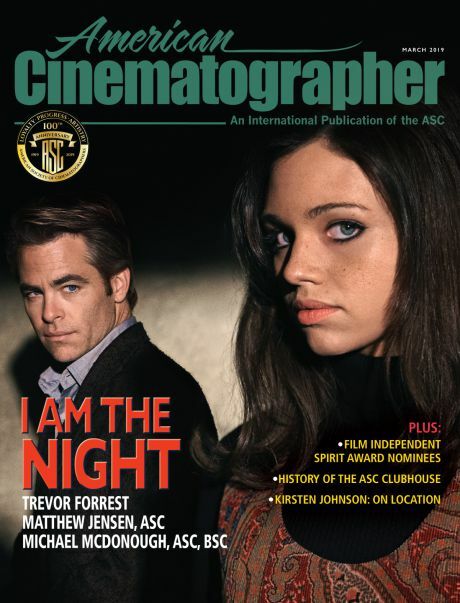 For more than a decade, Roizman has been photographing ASC “Member Portraits” that are featured in the organization’s monthly magazine, American Cinematographer. Ellen Harrington, Director of Exhibitions and Special Events at AMPAS, had invited Roizman to exhibit his work in the Academy’s lobby during one of the most heavily trafficked periods of the year — the screenings for the Oscar nominated films. Roizman was under an intense deadline to provide exhibition quality prints on short order — when I caught up with him shortly before the opening. I told him I wanted to interview him about his work, much as I had done with Douglas Kirkland for his ongoing Kodak “On Film” profiles. 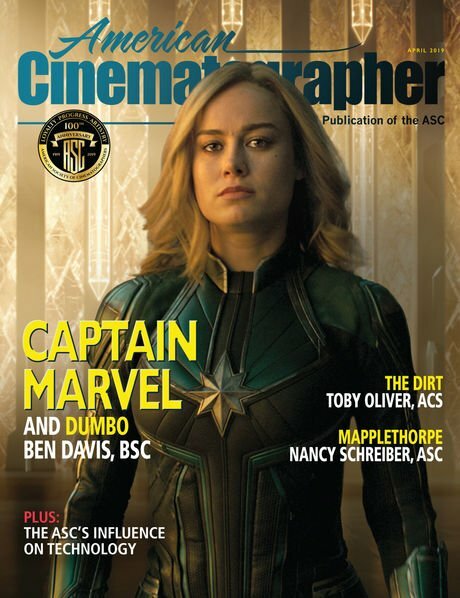 Tell us how the idea to do the "Member Portrait" feature in American Cinematographer magazine came about and which was the first camera you used? I had already begun to shoot photographs of people’s faces, playing with them in Photoshop to come up with different effects. Everyone [I showed the photographs to] seemed to enjoy them; so when American Cinematographer approached me about using these portraits in the magazine, I thought it was a great idea and agreed to do it. It all started on the day that I was sitting for a Kodak “On Film” ad for Douglas Kirkland. He handed me a copy of his book Icons. As I looked through the photographs, I was inspired by his wonderfully unique, impressionistic, and diverse images, and thought that this was something I would like to learn how to do. Digital imaging was still in its infancy, so I discussed it with Douglas and he offered to teach me Adobe Photoshop. Naturally I took him up on his offer. As it turned out, I only took two or three lessons from him, which was mostly about basics. I was immediately hooked, and continued to seek out any kind of tutorial information, including books, DVDs, and live seminars, which I attended as often as possible. Simply put, I became a sponge for learning Photoshop. It was Don Adams at Kodak who let me borrow their latest “point and shoot” one megapixel digital camera to experiment with. It had the equivalent of a 25-50mm lens, along with a built-in flash; before long, I was just sticking it in people’s faces and clicking away. Oddly enough, and with the aid of the little knowledge I then had with Photoshop, I was actually producing some interesting images. One day someone from AC magazine had the idea that perhaps we could use these photos as part of an already established ad series titled “Member Profile”. I suggested that since we would now be using a photograph of the person [as well as text], perhaps we should change the title to “Member Portrait”. Everyone liked the idea, so I started shooting on a fairly regular basis. Compared to today’s standards, the equipment was rather primitive [circa 1996-’97], but even so, I continued to produce some fun portraits. My quest for knowledge with these new tools became insatiable. The equipment, as well as my own experience, kept improving… Needless to say, I loved the process. When I started out, my intention was never to shoot any of the portraits in what I would consider to be a “normal” style, as if they were, for example, headshots for an actor. I wanted, rather, something more like an impression or interpretation of the character. How do you approach the sessions in terms of preparation? Do you talk with the cinematographer as subject and do both of you work out an approach to the scene? Where are the sessions done and describe the lighting and backgrounds? I am always searching for new and innovative techniques by studying famous photographers’ works, by searching the Internet, by reading photography books, and browsing magazines; but I really don’t do any preparation for the sessions other than making sure that I have the equipment that I need. Other than a few times when I decided to experiment with certain types of lights, I mainly use strobes, which I had never used before I started on this journey. The strobes afforded me the luxury of shooting at deep f-stops, which I quickly learned was preferable in order to assure sharp focus. If I want to soften something, then I can accomplish that later in Photoshop. I use a variety of backgrounds—plain gray, white, brown, and some mottled ones, like the one I am currently using. They are all fairly small and easy to set up quickly. One of the things I love about working on the computer with Photoshop is that it allows me to extract the subject and place him or her against any background that I feel works best for that session. Fortunately, since I have so many friends in this business, I was never without a place to shoot. We were able to use stages at Panavision, Dalsa, and most of all, at Mole-Richardson. I’ve even shot several of the portraits in my garage at home. With portrait photography, especially as close as I get to the subject, I generally don’t need much space. 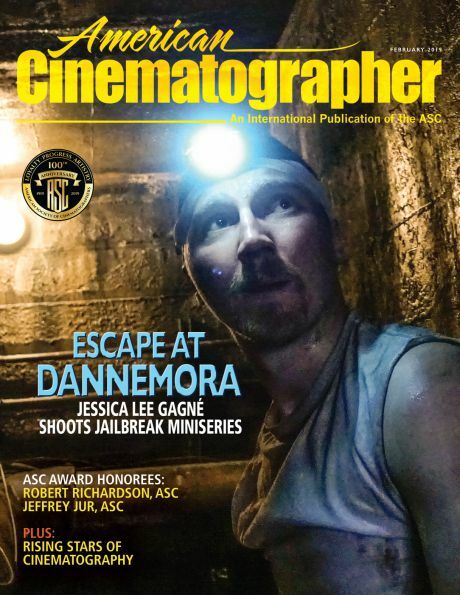 How much do the cinematographers surrender themselves to you, or how much are they involved in creating the setup? What I like to do is tell each subject that he or she is the performer; I am only there to record it. Of course, we know that is an over simplification of the process, but I think that I convey to them that it is up to them to create the physical expressions. So far, everyone has trusted me completely, which of course makes my life easier. Sometimes, the sitter suggests that one side is better than the other, and I always consider that as I am setting up, although I don’t always agree. I usually use the same basic tools for each session, mostly to get continuity to the images. How many sessions have you done? How much longer do you plan to continue? To date, I have photographed approximately 110-115 Active ASC members. Since we usually have around 300 Active members in the society, I figure that I am currently only one third of the way there. Doing the math, and using one person each month in the magazine, I have approximately 200 more to photograph. That means it will take me another sixteen years to get everyone—except for the fact that we invite in several new members each year. So, at my age, I just figure that the odds are pretty strong against me shooting everyone. We usually schedule three people for each session; it then takes me a few days of “post,” to complete each file. The way I look at it—I intend to keep shooting as long as my finger can depress the shutter. I see that most photos are in color, but some are black-and-white. How do you make that decision? What are the variables in printing techniques with Photoshop? Some of the portraits seem to be very “straight”, while others employ intricate work. My goal starting out was to shoot everything in color, mainly because Douglas [Kirkland] was shooting the Kodak ads in black-and-white. I did not in any way want to create a competition with him (he’s too good!) However, sometimes I would just have a difficult time reproducing the skin tones that I was looking for, plus very often a particular photo just looked better with color toning, or in pure black-and-white. At times during my preparation for the exhibit, I was so frustrated in dealing with the color management, that I kept telling myself to shoot only black-and-white in the future. However, the last three that I have shot have all been in color, including my self-portrait. After all my whining, I accepted the fact that some portraits just look better in color. My intention from the start was to make each portrait totally different from any other, but I slowly ran out of ideas. So, I’m not stuck with that theory anymore. Which are some of your favorite images, not in terms of subject, but in terms of how you feel the image turned out—with the light or the composition? Unfortunately, that is like asking someone to tell you who his favorite child is. Of course in my case, I only have one son, so that would be easy, but if I think of these portraits as if they were my kids, then it would be virtually impossible to tell you which were my favorites. Fortunately, I feel that it is the kind of collection, that if you asked that same question of several different viewers, you would get a variety of answers. That of course is what is so exciting about art in general— what some people like, others may not. My reasons for liking one photo better than another will most likely be different than someone else’s reasons. Or they may select an entirely different favorite. The great thing about this entire process has been that I can do whatever I please. There’s nobody standing over my shoulder: no director, producer, or actor, telling me to do anything a certain way. These portraits are all my own creation, so I have no one to blame or credit for anything. The bottom line is that I just do what I want. I imagine that every cinematographer, photographer, or artist would always prefer that way of working. All I know is that I totally enjoy the process, and it has been a wonderful opportunity to spend some time with my fellow members and get to know them a little better. Also, there is quite often a little story behind the shoot from that day or from that person. Do you plan a book? Or do you plan to make prints available for purchase? Are you interested in a commercial gallery exhibition? A traveling show? At this time, I have no plans for a book, although since so many people have asked me about it, I might consider it at some point. As far as a commercial gallery goes, that thought or idea has never come up before, and I am guessing that it won’t be anything that I will pursue — although my mind is always open to anything. The one thing I am pretty sure of is that I am not interested in a traveling show of any kind. What about the portrait of you that graces the entry to the lobby of the AMPAS exhibition? Is it totally a self-portrait? Did you light a "stand-in"? How do you feel about doing a self-portrait? That is a self-portrait, and it was the very last session that I shot prior to the exhibit opening. There is a lot of back-story to it, but the bottom line is — it is a self-portrait. I had someone sit on for focus and composition, then I had a large standing mirror brought in and placed slightly to the side and behind the camera, and used that to check the lighting on myself. Then I fired the shutter with a wireless remote. Before shooting my self-portrait, I did a lot of research to get ideas, but in the end I played it safe and did what I felt would make me look the best that I could--- which is the same approach that I use for everyone else. Fortunately, I am pleased with the result, and since Mona [Owen’s wife] loves it, that is what counts most. Are there any deceased cinematographers you knew whom you wish you had been able to photograph, but didn't? Whom have you not photographed yet that is on your list? Since starting this process, I have been trying to shoot as many members as possible. Some of my good friends have passed away, but fortunately I was able to photograph a few of them before they did. It is often not an easy process trying to coordinate everyone’s availabilities with the day that I can get a stage or assistance. I usually leave it up to Patty Armacost at the ASC to set it all up for me. She works from a list that we both developed some time ago; we add to and update it on a regular basis. If there are any members who would like to be photographed, please call us so that we can plan the sessions better. Believe it or not, one of our problems is that many of the members are a little shy about being in front of the camera. What about foreign-based ASC members? Any plans to photograph them? What have you personally gotten out of this project? What has been unexpected or surprising? This project has afforded me the opportunity to meet, and spend some fun time with many members whom I ordinarily would not have gotten to know as well. From it, I have also had the opportunity to learn even more about lighting faces, and how to use tools like Adobe Photoshop and Lightroom. I may never have gotten to do so, otherwise, since I had to retire as early as I did. I often refer to the DI as Photoshop on steroids, so getting to know that application as well as I have, has helped me tremendously when I am involved with supervising HD re-mastering or of Blu-Ray DVDS of any of my movies. It also allows me to continue to explore the art and craft of photography, which I love so much. What is your reaction to the AMPAS opening, not only to the show itself as installed in the lobby, but to having so many of your "subjects" present — in person? I felt that the opening of the exhibit was beyond any expectations that I might have had. Since I truly enjoy hanging out with my colleagues at the ASC, it was like one big party. To have so many members show up that night was exhilarating. I felt very proud, not only of my work, but of the ASC as well. The exhibition of Owen Roizman’s portraits of his fellow ASC members, Masters of the Close-up, Up Close will continue in the grand lobby gallery of AMPAS, at 8949 Wilshire Blvd. in Beverly Hills, until April 17, 2011. Tuesday-Friday: 10a.m. to 5 p.m.
AMPAS has posted a video “about the show,” made on the opening night. It includes an interview with Owen and fellow cinematographers commenting on the show, as they stand next to their own portraits. A slideshow is also on the site. Next Monday: A Valentine from Raymond Cauchetier.